Ruggedly handsome Army psychiatrist Rauf, with the honed body of a desert warrior, feels like a failure after years of fighting ISIS and losing his family. His current assignment: treating veterans struggling with crippling symptoms of post-traumatic stress disorder, but before he can help them, he must conquer his own demons. Deserted by the husband she put through medical school, vibrant, redheaded nurse Jamie, her belief in love destroyed, refuses to give up the dream of a home of her own. She’ll do whatever it takes: avoid romantic enticements, work two jobs, and climb out of the mountain of debt her ex-husband left her. Assigned to assist the reclusive Rauf, Jamie reluctantly agrees. Working together, they each discover feelings they’d believed dead: throbbing, hot, tantalizing feelings. Will their scars prevent them from accepting a second chance at love? 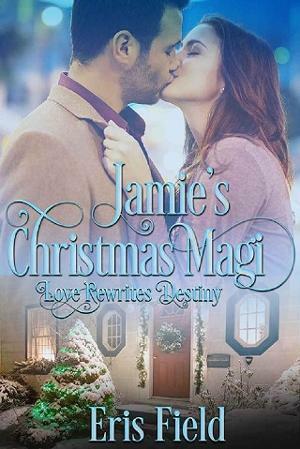 Will Jamie accept a gift of love from her very own Magi?